Denver Broncos star linebacker Shane Ray is set to miss a significant amount of time after being injured earlier this week. 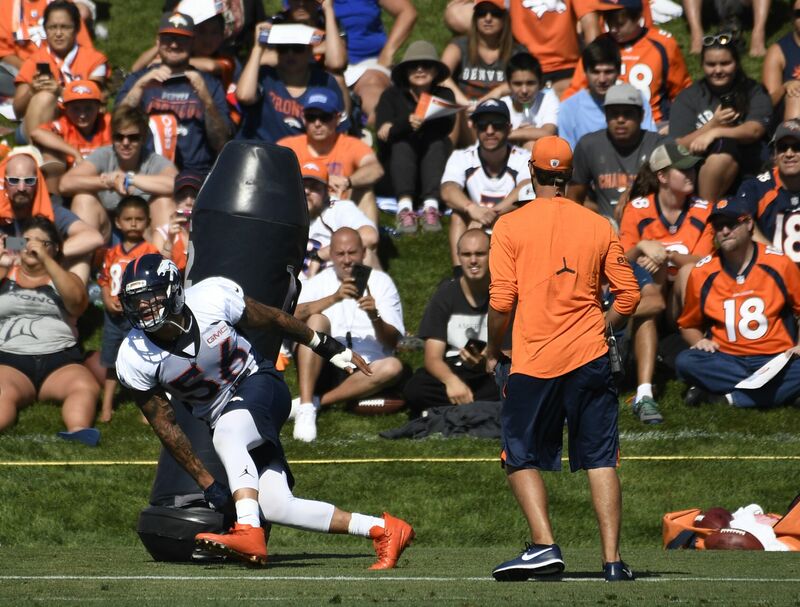 Fans of the Denver Broncos received some unexpected news Friday when head coach Vance Joseph confirmed linebacker Shane Ray will be sidelined for 6-8 weeks with a torn a ligament in his left wrist. As initially reported by Adam Schefter and also confirmed by Charean Williams of NBC sports, Ray sustained the injury in Thursday’s practice and will now miss a significant chunk of the 2017 NFL season. He is scheduled to have surgery this coming Saturday. This is tough news for a Broncos team that relies heavily on its defensive prowess and desperately needs another quick pass rusher on the outside to prevent Von Miller from getting double teamed on every play. With DeMarcus Ware now retired, its unclear who will fill the gap created by Ray”s injury until he can return. It’s a tough break for Ray, who has shown steady improvement since being drafted out of Missouri with the 23rd pick in the 2015 draft. Ray showed flashes of stardom in his rookie season, recording four sacks en route to a Super Bowl ring when the Broncos defeated the Carolina Panthers. Ray was an integral part of their defensive game plan and contributed two tackles of his own during the game. Fresh off the Super Bowl win, Ray showed no signs of slowing down in 2016, finishing with eight sacks and 48 tackles even as the Broncos finished last season 9-7 and third in the AFC West behind the Chief and Raiders. Fortunately for Ray, he is still incredibly young and his body will hopefully heal very quickly. Every injury and road to recovery is unique, but it’s not unreasonable to think that an early return is possible.